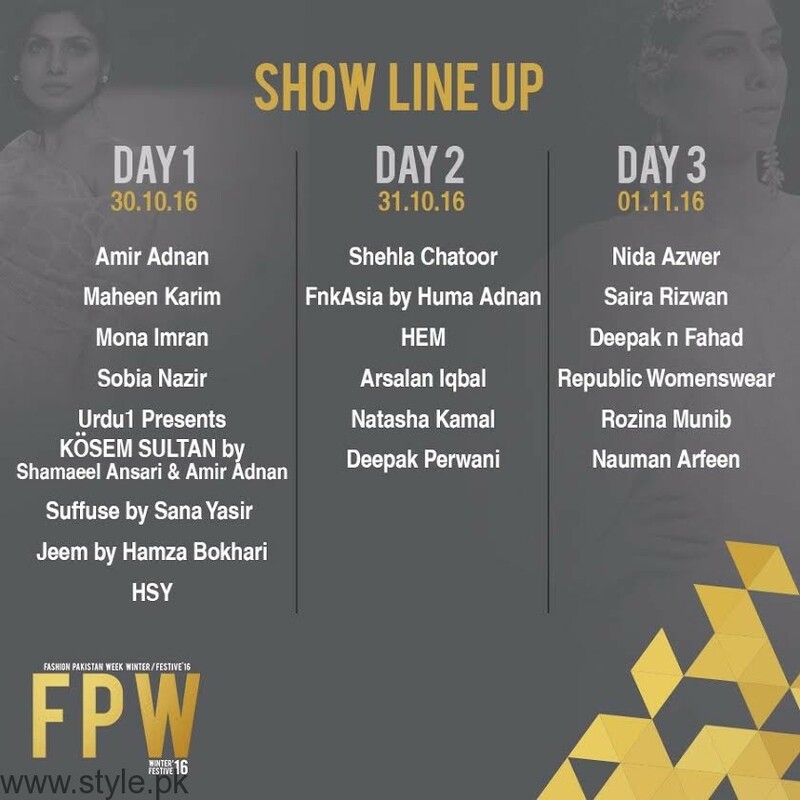 Fashion Pakistan Council, the country’s leading platform for fashion designers, is announcing the designer lineup for Fashion Pakistan Week Winter Festive’16, scheduled to take place in Karachi from 30th October to 1st November, 2016. The three-day event, where 20 of the country’s most renowned designers will be showcasing their latest luxury & bridal wear, will be taking place in collaboration with Urdu1 as the Official Event & Media Partner. This season Trade Development Authority (TDAP) is the hospitality partner for FPW ‘16. 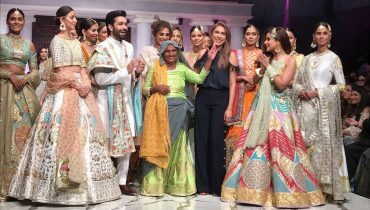 TDAP Secretary Rabia Javeri stated, “It’s an honour for us to be associated with Fashion Pakistan Council as it is a non-profit organisation working to develop fashion in the country and an excellent forum to present the spectrum of fashion and design in the country. It allows established as well as new designers to showcase their work. It’s a great platform for emerging talents to be a part of”. A list of participating designers. Fashion Pakistan Week Winter Festive’16 is the official name of the week. We would appreciate if you do not use any alternate name for this week when referencing it in print/online/on-air. 30th October – 1st November 2016 are the official dates for fashion week. 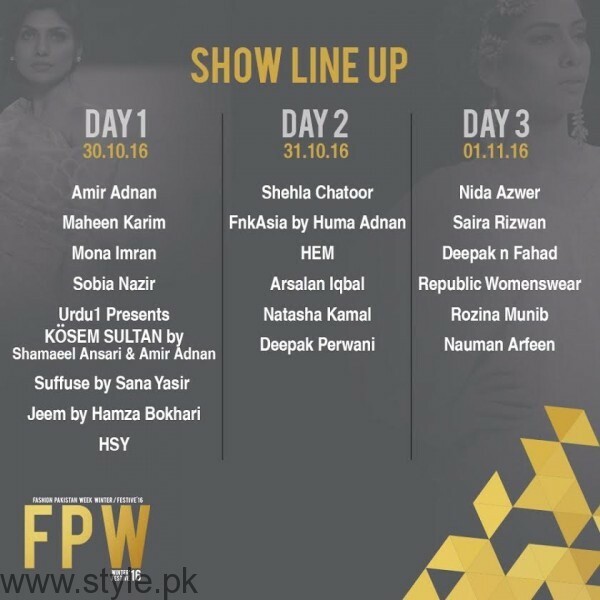 Fashion Pakistan Week Winter Festive’16 will feature 20 designers. #FPW2016 is being styled by the creative teams at Nabila for both menswear and women’s wear. All official designer images with synopsis/profile images are available directly through Walnut.